I woke up at 6:30am, which is perfect as thats my regular getting up time during the week, so does this mean no jet lag at all? I am hopeful. By 7:30 I decided to set out for a walk, the weather is absolutely fantastic, I walked the usual tourist route of tottentham court road, bloomsbury avenue, trafalgar square etc, but also had a look in chinatown for some good places to have dinner that are cheap and take credit card. The other good news for the day is that the formual 1 and England vs Germany football game do not crossover, so I can watch the f1 then hit the streets to photograph the riot that occurs as England gets thrashed by their traditional dual world war enemy. I promised pictures, I deliver pictures. One last thing, it takes a lot for me to not finish food or drink, but without a doubt, diet Dr Pepper is the worst drink of all time, OF ALL TIME. 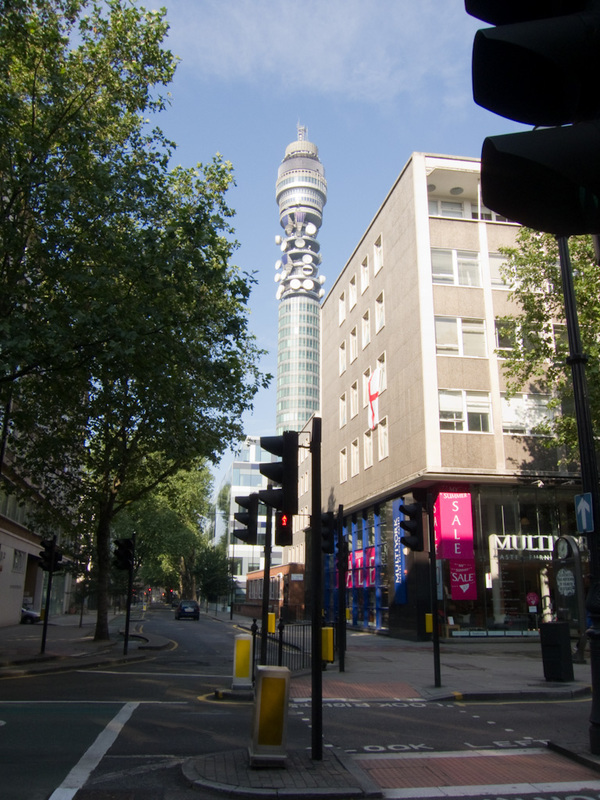 Heres a blurry picture of the BT tower, note the very blue sky, this is a rare thing in London. 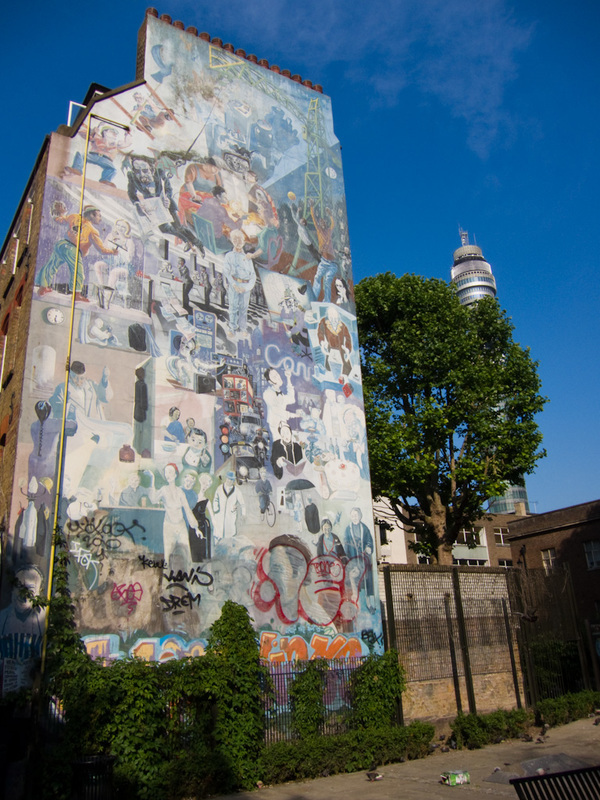 And heres a mural, maybe its interesting, maybe not, its colorful. The tower snuck into the shot again. 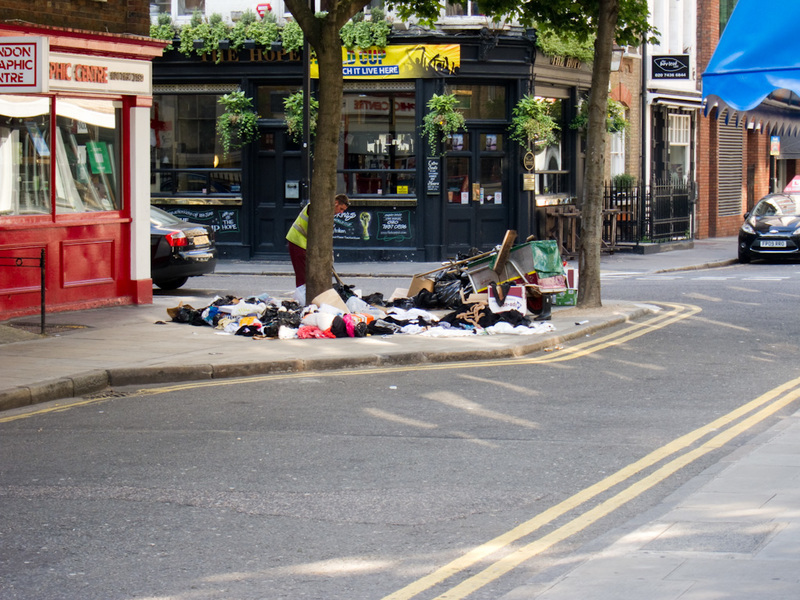 Piles of rubbish on the streets are common in Central London. Its a strange thing to see, but I guess theres no room for bins. Look! I have taken enough regular tourist shots on my last 2 visits, so now I have to look for artful and different things to photograph. 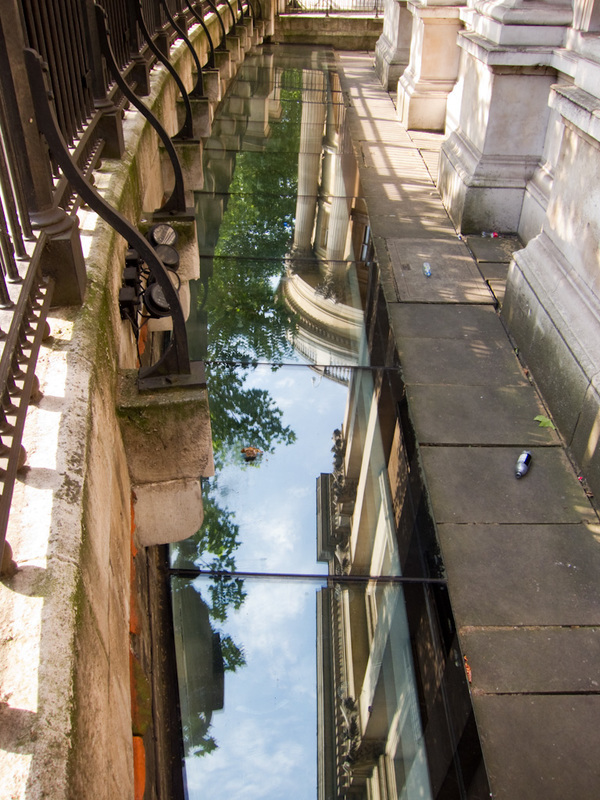 Not being arty myself, and sucking at photography, the best I can do is cliche reflections. Enjoy. 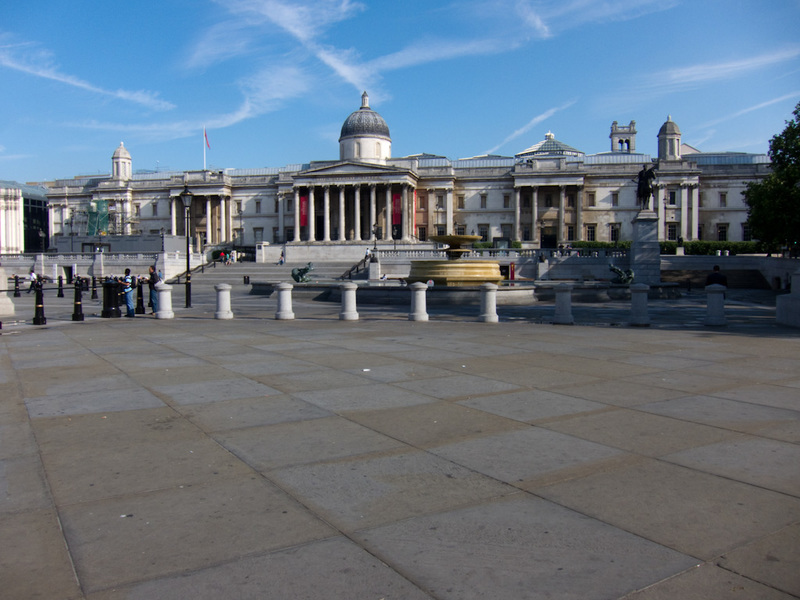 Trafalgar square is deserted at 8am in the morning. 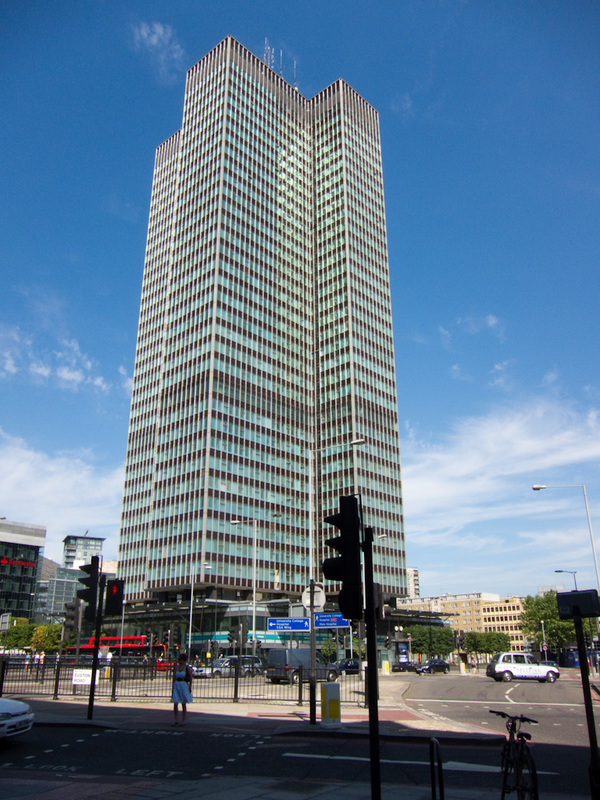 Unlike Australia there are no big screens in the city to watch the football on, due to fear of riots, Boris promised to erect them but has failed to deliver. This is dissapointing, as I dont know where the best vantage point for riot photography will be. 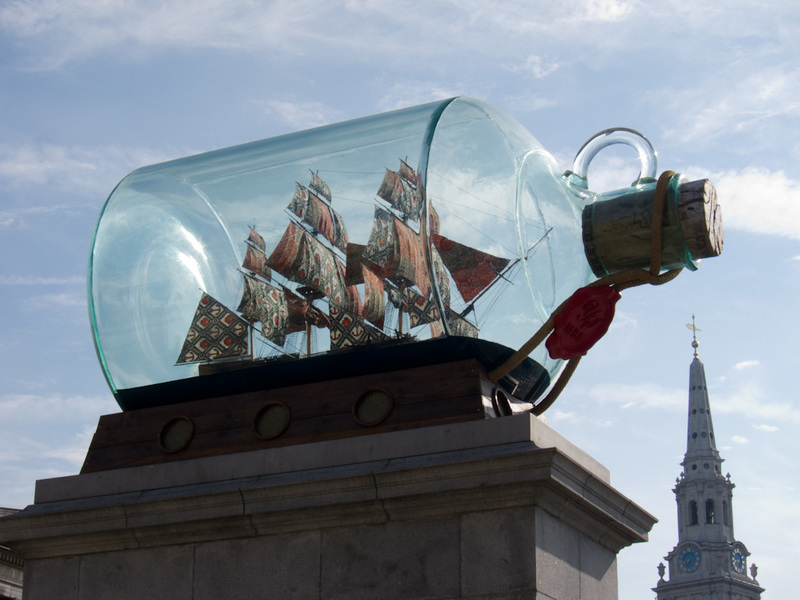 Theres no giant screens, but there is a ship in a giant bottle. 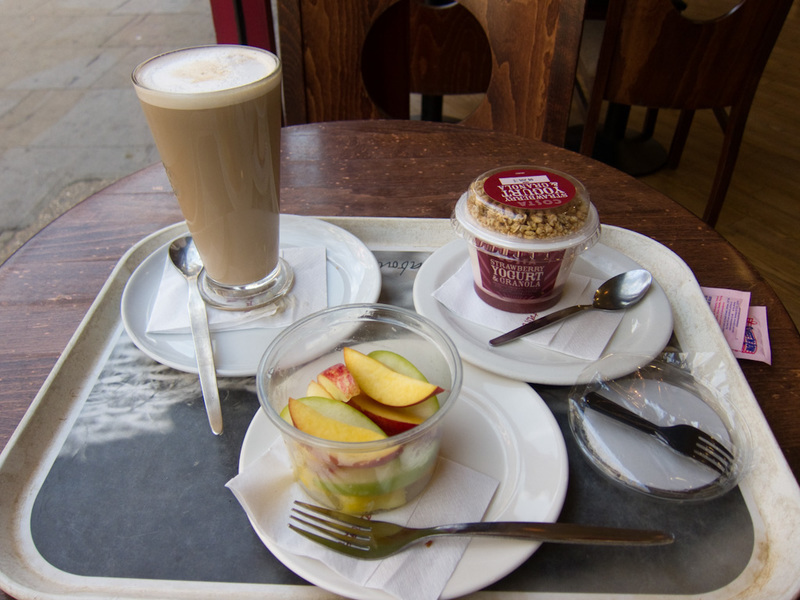 I stopped for breakfast at costa coffee as not much else was open. At least it was healthy, yoghurt, fruit salad. 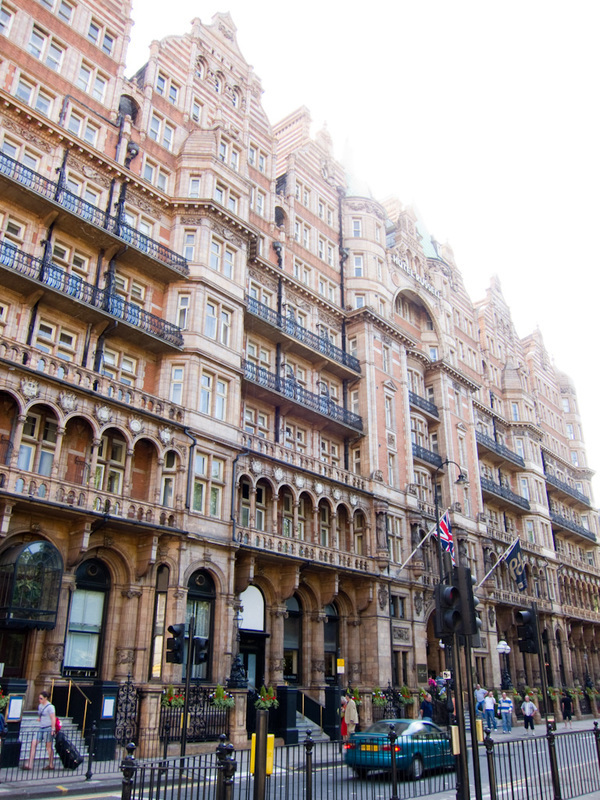 Some sort of particularly grand old hotel at Russel Square. This area of London has no skyscrapers except this one, and what a shockingly ugly building it is, sticking up for all to see from miles around. It should be demolished immediately.